While many first home buyers might feel thwarted by escalating property prices in some capitals, plenty are still taking the plunge, spurred by low interest rates and the great Australian dream of owning your own piece of turf. According to the Australian Bureau of Statistics1, first time buyers currently account for about one in six home loans. So just how do you get into the market when affordability is an issue? While not easy, for most the keys are sacrifice and compromise. 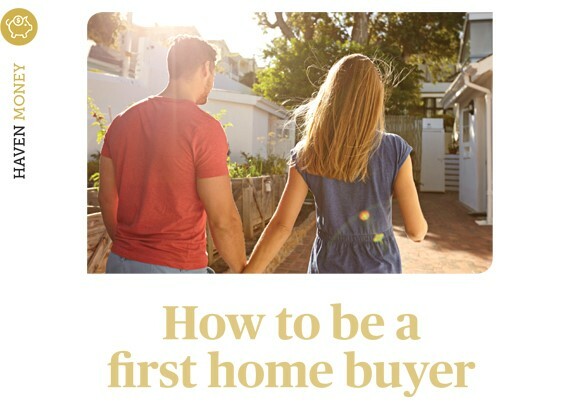 Here are our tips to help first home buyers make a move. There is no time like the present to start stashing your cash for a deposit. The longer you put it off, the harder it can be to develop good savings habits. Unless you win the lottery, inherit or receive some other windfall, chances are you will need to make sacrifices to save. This may mean finding cheaper rent or moving back in with parents, while making some tough choices about how you spend your disposable income. Start with a budget. Make an honest appraisal of all your living expenses and decide where you can cut back. Once you know how much you can actually save, set up a direct deposit from your pay into a separate savings account with no card access. That way you won’t be tempted by ATM withdrawals or EFTPOS purchases. It may not be easy but it will be satisfying to watch your nest egg grow, knowing your homemade lunches and big nights in will eventually reap financial rewards. Most lenders require at least a 10 per cent deposit. You will also need to cover lenders’ mortgage insurance (LMI) if you need to borrow more than 80 per cent of the property’s value. The insurance covers the lender (not you) should you default on the loan and the property has to be sold at a loss. Make sure you also have enough saved to pay for stamp duty and conveyancing or legal fees associated with the purchase of the property. While you sock away your savings, talk to a lender to find out how much you can borrow. A mortgage broker can access a wide variety of lenders, many of whom offer competitive loans but do not necessarily promote the fact. A broker can help navigate the competitive landscape and negotiate a loan that suits your needs. Once you have saved enough for a deposit, try to secure pre-approval for a loan, so you can start house-hunting with a firm budget and peace of mind. When it comes to the type of property and location, many first buyers find they have to compromise. A stand alone home in an established, convenient, leafy neighbourhood near a CBD, great transport, family and friends might well be out of reach first time around. If convenience is important, you will probably be looking at apartments instead of houses, remembering the closer you get to a CBD, the higher the demand and price. Your budget, for example, might only stretch as far as an older, walk-up unit if you want a property within 20 minutes of a major capital city. If you definitely want a house and yard, you will most likely be restricted to the outer suburbs or regional areas. Consider what is most important to you now and over the next five years. Are you looking to be part of a community that’s similar in age to you? Is it important to get to and from work as quickly as possible or can you cope with a long commute, providing you have a great lifestyle when you get home? Do you have children or are you starting a family? All of these, in addition to your budget, will influence where and what you buy. Research is essential. Do your homework on suburb demographics and price trends over the past 10 years, plus existing and planned infrastructure, such as public transport, shopping centres and schools. If property values in one suburb have really taken off in the past five years, find out why and whether neighbouring areas have similar potential. It’s a big commitment and many may find it daunting, so it helps to consider your home loan as paying off an asset, rather than paying dead money on rent. If you budgeted successfully to secure a deposit, chances are you will transition smoothly to managing your mortgage. Your broker can help you determine whether you take on a fully variable or fixed interest rate, or split your loan between the two. A fixed rate provides certainty, which can mean additional peace of mind for first buyers, while a variable rate allows you to save should interest rates drop. On the flip side, you pay more with a variable loan if rates rise. A split loan is a bit of an each way bet, which suits many newbies while they settle into life with a mortgage. With interest rates at record lows, first home buyers should be banking on and budgeting for rates rising. If nudging the edge of your affordability from the outset, chances are you will struggle at the first rate hike. Build a buffer and budget for repayments at about two per cent higher than the current rate to ensure you can sustain any increases. One of the best ways to prepare for interest increases is to inject additional savings into your mortgage. Talk to your broker about loans with a redraw facility, which allow you to make extra payments and redraw them if needed. If rates remain the same, leave the money where it as and reap the reward of shortening your loan and/or paying less interest. With property affordability slipping, many first home buyers are pitching in with friends or family to close the gap. Buddying up can reduce the financial burden and may mean you can afford a better quality property with greater growth potential than if you bought solo. But it’s not a move you should make lightly. Even if buying your first property with family, seek legal advice and ensure each party understands their financial and legal obligations. Discuss what would happen if one of you was unable to cover their share of the mortgage and whether you each need to take out income protection insurance to mitigate against this risk. You should also contemplate scenarios such as one of you wanting to sell or move out sooner than planned. If you do buy a property on your own, you can still offset some of the costs by renting a room. Again, make sure you obtain legal advice and have a proper tenancy agreement in place. You should also secure financial advice around potential tax implications. The First Home Owner Grant (FHOG) scheme was established in 2000 to help offset some of the impacts of the GST. Offered by the Federal Government, the FHOG is administered and packaged differently in each State and Territory and has morphed over the years. The FHOG was once offered to first home buyers purchasing both established and new properties but is now offered to only those buying or building new homes, to help fuel the building cycle. The grants apply to apartments and houses up to a certain value. These thresholds vary depending on the type of dwelling and the state or territory in which the property is located. The savings can be significant – for example, a saving of $15,000 on transfer duty in Queensland – so the scheme is certainly worth exploring if buying a new property, or building is something you would consider. Visit www.firsthome.gov.au to find out what’s on offer under the FHOG scheme in your market. You should also check if your state or territory offers stamp duty exemptions or concessions for first home buyers. Many thanks. An abundance of postings! Truly many of very good data! Really a good deal of very good facts! Cheers, A lot of write ups! Whoa a good deal of fantastic data! Many thanks! An abundance of content! You’ve made your position pretty effectively..
You actually mentioned it superbly! Amazing plenty of valuable data. Whoa quite a lot of valuable data.